Claire Turnham is the Oxford based Founder of Only with Love and Chair of the Home Funeral Network. She is dedicated to empowering, educating and guiding families to tenderly take care of their own and can undertake all aspects of a home and family led funeral. Claire is a pioneer in the growing Home Funeral Movement within the UK. She is recognised both here and overseas as a leading Home Funeral Guide, Independent Celebrant and Death Care Educator. 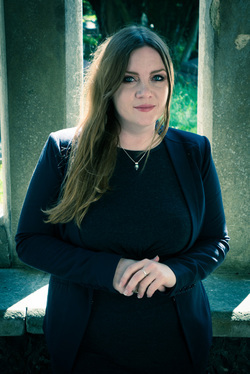 Claire is an active member of the National Home Funeral Alliance and has developed strong relationships with other Home Funeral Guides, Undertakers and Celebrants from the UK, America, Canada, Australia and New Zealand. She was awarded 2016 Runner Up Green Funeral Director of the Year and Commended for her OWL Funeral Services at the 2014, 2015 and 2016 Good Funeral Awards. Claire regularly facilitates Death Cafes within Oxfordshire and is an OxBEL volunteer. Dee Ryding set up and now runs Divine Ceremony; a small, independent Undertakers, serving Bristol, Bath and the surrounding area. As an award winning Celebrant Dee has been creating bespoke funeral ceremonies for the last 7 years, and has taken over 1500 ceremonies in and around Bristol and Bath. She is passionate about end of life care, and the importance of a “good funeral” for the deceased, but also for those of us left behind. We offer families a personal, funeral service, to help you create an appropriate ceremony. We recognise that we are all individuals with our own needs and requirements. As Funeral Directors we are here to help you make the most appropriate decisions for your funeral needs, whether that is burial, cremation, or a memorial ceremony. Jacqueline Clark is a Home Funeral Guide, Soul Midwife, Independent Celebrant and Death Educator. She is also a Marie Curie end-of-life Companion. Jacqueline offers regular ‘Dying to Talk’ sessions - conversation around death and dying over tea and cake as well as the occasional ‘introduction to Home Funerals’ workshop. Tora Colwill is a home funeral specialist. She established The Modern Funeral in Brighton to help put people in charge of the funeral process, creating personalised funerals that cost less - and mean more. The Modern Funeral offers information and support, and can facilitate the practical and ceremonial aspects for a fitting tribute. Our dead belong to us. Caring for them is our right and privilege, and doing so can have long-lasting emotional and psychological benefits. The Modern Funeral operates in East Sussex and beyond. Supporting sacred encounter for a peaceful transition. I offer non-medical, holistic companionship to the dying and spiritual end-of-life care for those who are seeking a ‘good death’ through being open to the direction and pace of their spirit. I believe there is no greater privilege than to be accepted as a friend to someone who is dying as they make their journey across the sacred threshold. Support the spirit and soul of my friend at all levels and stages of transition. Create and hold a sacred and healing space. Offer healing, using sound, touch, colour and smell. Support families and loved ones up to and after death. If you would like to find out more please take a look at my website www.life-encounter.com. Contact me in complete confidence on julia@life-encounter.com or call 07929 618 004. Nixie James-Scott Unique Ceremonies. I am a non-denominational ordained OneSpirit Minister, Celebrant and Family Led / Home Funeral guide, based in North Devon. Not personally rooted in any religion but coming from a place of deep earth based Spirituality I honour people of all faith paths or none. I spend time with families and friends to learn about their departed one’s life and wishes then pull together the elements and weave them into a Ceremony perfectly reflecting the individuals and circumstances involved.I approach this whole process with empathy and gentle humour 'holding' the space to allow the flow of all emerging emotions. As individuals approach their death many wish to make plans for their funeral or simply need someone other than their loved ones to talk to. I can visit, listen, discuss and plan; this may be cathartic to both the individual and their family and friends, knowing they are being heard. Cheryl Tissot is a Voice Coach for Public Speaking. She is a skilled stage performer, radio presenter, actor and vocalist. She trained at the Joan Barnes Theatre School, London Academy of Music and Dramatic Art (LAMDA) and Mountview Conservatoire for the Performing Arts. Helping people with their funeral readings or speeches is the most rewarding thing I do. All too often the loved ones of the deceased will be standing up in front of an expectant audience for the very first time. In these circumstances it can be hard enough to speak clearly. But then pile on top of this a heightened degree of distressed emotion and it can be impossible for them to get their words out. My personalised 1:1 funeral speaking coaching is therapeutic as well as achieving the ultimate aim of a smooth and stress free delivery on the day. It’s an individual and organic experience calling on Mindfulness techniques to keep you in the moment. You will learn how to breathe correctly and efficiently, deliver your piece at the correct speed, work with (not against) rising emotion and you will come to actually enjoy your poignant tribute to your loved one. Clients are treated with the utmost sensitivity and respect during what is a very difficult time. Our initial connection conversation/meeting is strictly on a no obligation basis. Marisa Picardo is an End of Life Doula and a Funeral Celebrant. She lives in Glastonbury, Somerset. As a independent funeral celebrant, she will work with you in creating a beautiful, bespoke and personal ceremony to acknowledge, honour and celebrate the life of the person who has died. As a midwife to the dying, Marisa offers support to those who want to plan ahead and to those who are dying. She will advise and support those wanting to become aware of their choices, she can also offer rituals and ceremonies at this rites of passage. She offers a non- medical holistic companionship to guide and support the dying through towards a gentle and tranquil death, . Marisa is a massage /body worker, she is an Holistic therapist and includes Reiki, healing and sound therapy. This Website is still under construction and not all members are listed yet! Coming soon though!